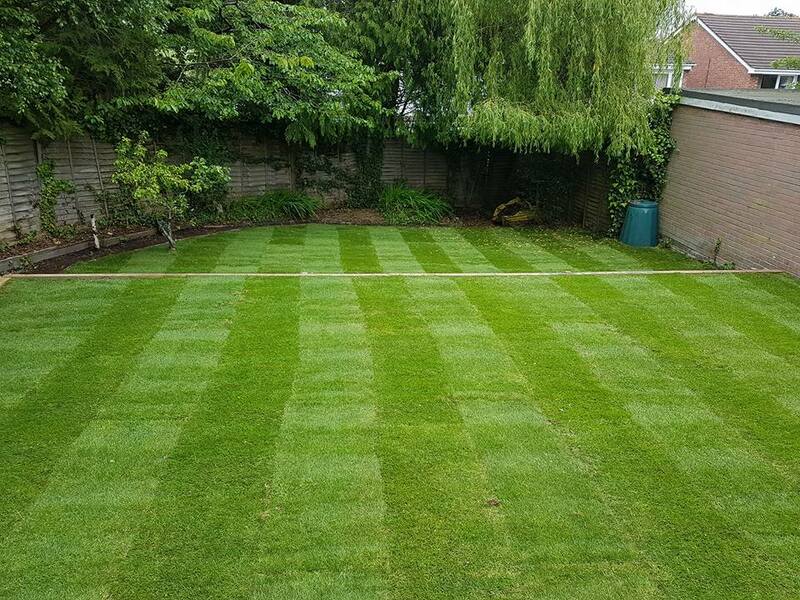 As summer approaches now is a great time to lay a new lawn. This garden landscaping project involved removing an old concrete path and leveling the lawn. 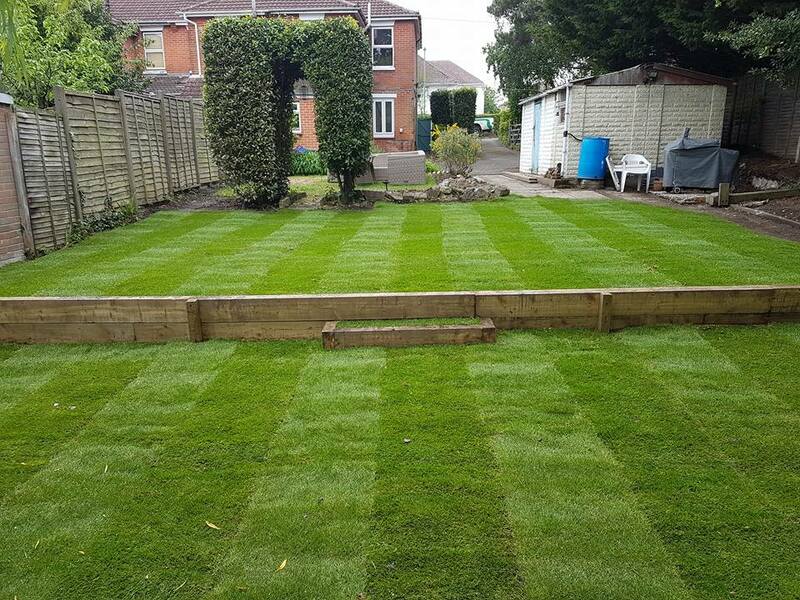 Due to the layout of this garden it wasn’t possible to create a flat lawn in one, our customer didn’t want a sloping garden surface so we came up with an innovate solution that included the creation of 2 level tiers, separated by a new timer retaining wall with a natural turf step built in. This project was a real team effort for us to complete. At the start of the project we had John in on our digger to remove the old path and level the earth ready for the two tiers of turfing. 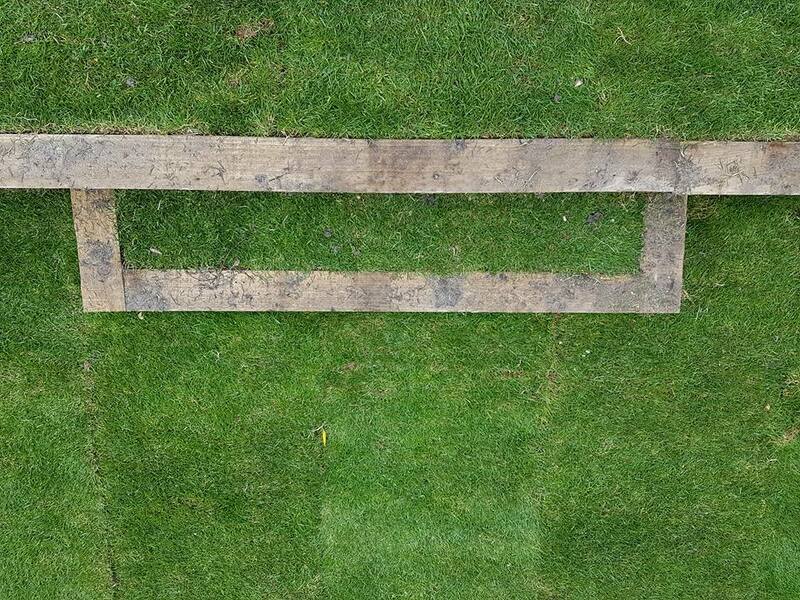 Paul was then able to create the sleeper work for the retaining wall and natural turf step creation. Finally we brought in Matt and Joel to finish the project with the new S1 Grade Turfing. The finished lawn area really looks great and our customer was very happy. When it comes to planning your garden landscaping project we are happy to provide you with as much advice and assistance as you want. We are extremely experienced in providing stunning new garden designs and we can design a garden to suit your needs. 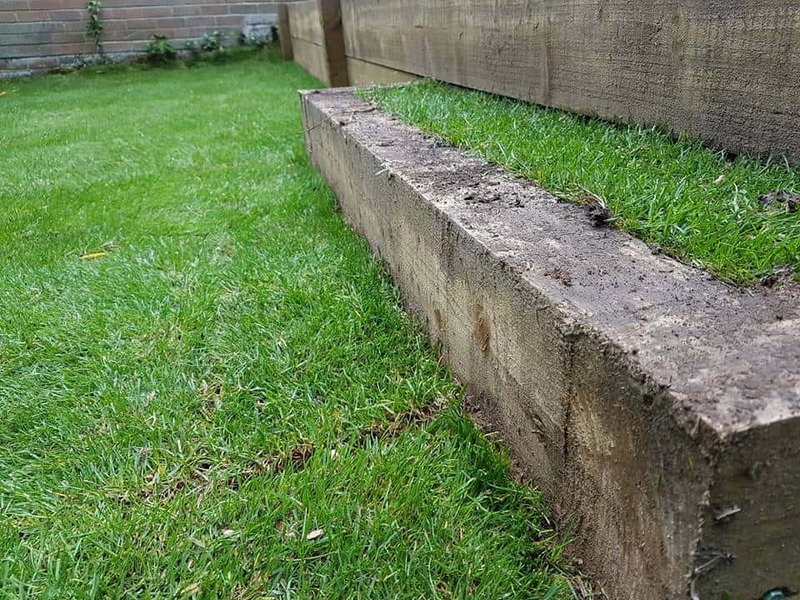 This project is an excellent example of how natural products such as timber and turfing can be used to create a modern, yet natural solution to achieve what you want from your garden.